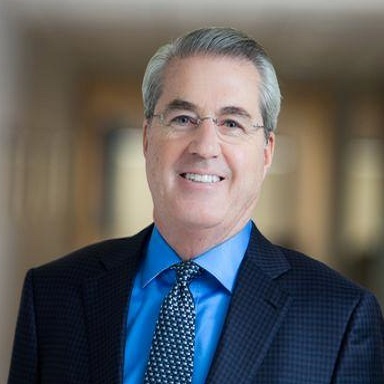 Dave North is Sedgwick’s President and Chief Executive Officer – a position he has held since 1995. Under Dave’s leadership, Sedgwick has grown from a boutique, regional third-party claims administrator to the premier global provider of innovative business solutions in the areas of workers' compensation, disability, absence management, property loss adjusting and more. Sedgwick has more than 21,000 colleagues across 65 countries who take care of people and organizations by delivering cost-effective claims, productivity, managed care, risk consulting and other services. In his more than two decades leading Sedgwick, Dave has transformed and grown the Company to the international leader it is today. He introduced a customer-focused approach to managing claims and fostered a creative environment where innovative solutions to clients’ challenges were created. Dave has over thirty-nine years of experience in risk management services. He is a frequent keynote speaker at national and industry conferences and events and is widely recognized as an industry leader. He was recently featured in Insurance Business Magazine’s Hot 100 for 2019. In March of 2018, Dave received the CLM Lifetime Achievement Award for the profound impact he has had on the claims profession. In 2017, Business Insurance recognized Dave in its 50th Anniversary Edition and celebrated him as one of the individuals having the most significant influence on the industry in the last 50 years. In 2016, EY honored Dave with its Entrepreneur of the Year Award for the Southeast U.S. Region. Dave previously developed and taught the American Management Association course on Advanced Risk Management Strategies: Managing the Total Cost of Risk. And, he co-authored the book The Art of Self-Insurance. Dave has served on the board of the Workers’ Compensation Research Institute and is past chairman of the board of the Integrated Benefits Institute. Dave is currently a director for The Institutes and a member of the Business Insurance Women to Watch Advisory Board. In 2016, Dave was appointed by Gov. Bill Haslam to serve on The University of Memphis’s newly chartered Board of Trustees. He previously served on the University’s Board of Visitors and concurrently serves on the University of Memphis Foundation Board and the President’s Innovation Board. During his early years, he served as a volunteer firefighter in the local community and later became a professional firefighter with the U.S. Air Force. These experiences along with his background in safety led him to the claims industry as a way to serve others during a time of loss and recovery.